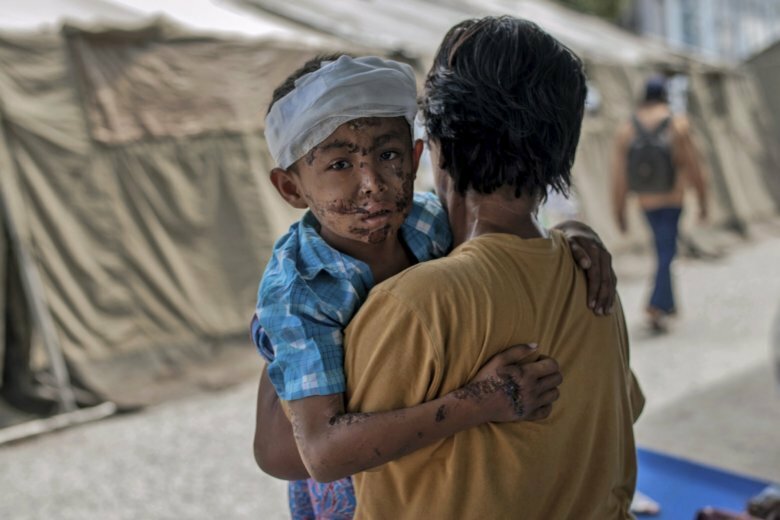 PALU, Indonesia (AP) — Aid has begun pouring into central Indonesia’s Sulawesi island and humanitarian workers are fanning out across its countryside, more than a week after parts of the island were devastated by a powerful earthquake and tsunami. The official death toll from the double disasters stood at more than 1,760, but officials said the toll would climb as recovery efforts continued in obliterated neighborhoods. The military dropped supplies from helicopters in places and a large Red Cross ship docked at a port. In the dusty one-road village of Pewunu, excited children shouted “Red Cross! Red Cross!” as one of the aid group’s medical teams arrived. The quake and tsunami hit Sept. 28.